Keeping your teeth clean and maintaining your oral health are very essential elements in taking care of your overall physical well-being. Your teeth, even though they’re highly prone to damage, are meant to last a lifetime. It is important that you care for your teeth the same way that you take care of other parts of your body. Along with daily brushing and flossing, Dr. Ballard recommends following these oral hygiene tips that are sure to keep your teeth and gums healthy. Get into the habit of regular and proper brushing and flossing. Brushing must be done at least 2 times a day or preferably after every meal. Food particles get stuck in the teeth and stay there for long periods of time when brushing is not regularly done. Tooth brushing hampers the growth and development of bacteria. Bacteria, just like any other living organism, multiply when left alone in your mouth. Regular tooth brushing and flossing are the first key elements to basic, effective dental care. How do you brush your teeth? Dentists, like Dr. Ballard, would advise you take your time during brushing, this is so that you will effectively rid your mouth of bacteria. Brush for at least 2 minutes each time using a combination of circular, upward and sideways strokes. Use toothpaste with fluoride, to help control bacteria. You can also take advantage of a mouthwash, to make your mouth squeaky clean. Use dental products approved by the American Dental Association (ADA). Brushing and flossing can greatly help eliminate temporary stains and keep your teeth in great shape. Tongue cleaners are available at most local drugstores and dental offices, but you can also use a toothbrush with soft bristles to clean your tongue. There are toothbrushes available that have tongue cleaners at the back of the bristles. Cleaning the tongue is essential for people who smoke cigarettes, and to children who drink a lot of milk. Visits every six months are highly recommended by your dentist. However, you can schedule dental visits based on your needs. 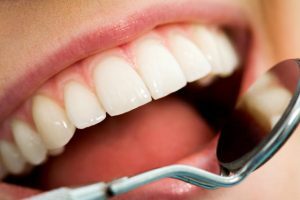 The dentist will perform diagnostic exams to determine your oral condition and then perform preventive dental care like deep cleanings, sealant application and fluoride treatment. It is essential that you avoid foods rich in sugar, as this can greatly damage your teeth. It seems that sugar is everywhere. Not only do sweets like cakes and candies have lots of sugar, it is also where you wouldn’t expect it. Foods like ketchup, crackers and tomato sauce are also loaded with sugar. It is important to brush your teeth after every meal, so sugar doesn’t stay on your teeth and cause problems for you. Eat naturally sweet foods like fruit and food that is rich with calcium. Nourish your teeth from within, so they are strong enough to fight the effects of bacteria. There are many reasons why you should not try smoking, or why you should kick the habit. Smoking is not only bad for the lungs, but it also eats away at your teeth and gums. It makes your mouth look and smell bad too. Smoking has also been known to increase your chances of having apnea episodes during sleep. Sleep apnea is a condition that reduces your intake of oxygen while sleeping; thus, resulting to serious illnesses. (404) 261-0610 to schedule your appointment, or contact us online.